Photo by S. Solovyov / RIA Novosti. 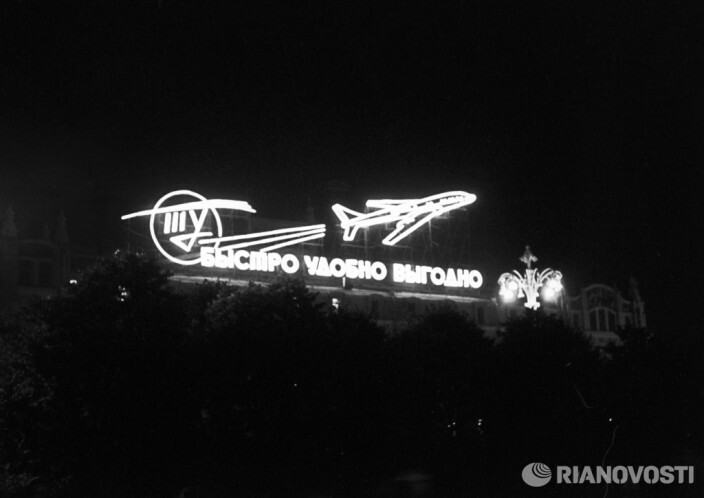 Advertisement of Soviet airline Aeroflot placed on the Metropol hotel, Moscow, 1965. I like the catchy slogan: Tupolev – fast, convenient, efficient.